The teens at Bayside High School- Zack, Lisa, Slater, Jessie, Kelly, and Screech- took Saturday morning TV by storm in the early 1990s, scoring the highest weekend ratings. But what most 80s kids, like myself, get to see is the behind-the-scene story about the actors from NBC’s Saved by the Bell. On Saturday night Lifetime TV premiered a biopic called “The Unauthorized Saved by the Bell Story”. The story, narrated and told by Dustin Diamond (Screech), revealed some untold myths about the seven-member cast. The only person who seemed to be left untouched was Dennis Haskins, who played Bayside principal, Mr. Belding. As the youngest cast member, Diamond was bold enough to dish everything in a 2009 book entitled “Behind The Bell’, in which he recanted most of the claims in a 2013 interview in OWN’s “Where Are They Now?” Diamond’s version of the Saved By the Bell story and the book was the basis of this 2-hour unapproved account. Despite the controversy, the movie depicted Mark-Paul Gosselaar (Zack Morrris) as an egotistical brat who played Lark Vorrhies for Tiffani Amber Thessen (and occasionally dyed his hair blonde). Mario Lopez was a juvenile gigolo and hot heat head. And the girls, Tiffani Amber Thiessen, Lark Voorhies, and Elizabeth Berekley were catty and childish. Diamond’s account made everyone out to be the bad guy by showing how the rest of the cast members alienated him. The movie did show Diamond’s own weaknesses of substance abuse and peer pressure creating resentment and bitterness towards the show. Lifetime TV has to chill with the biopics. They are getting a tad bit cheesy and predictable. The woman’s network is to biopics what Maury Povich is to paternity tests. It’s getting old! It’s now at the point where even the most proactive and juicy celebrity stories are being casted away (literally) with mediocre wannabes and juvenile script writing. The TV network is slated to release two highly anticipated biopics about Whitney Houston and Aaliyah. “Aaliyah: Princess of R&B”, which will be released later this year, received a lot of flak for the actors who were selected to play the deceased singer, her ex-husband R. Kelly, her music gal pal, Missy Elliot, and close friend and producer, Timbaland. On the other hand, Lifetime has been keeping a low profile for Whitney Houston’s self-titled biopic, which will not be released until next year. The movie’s unofficial soundtrack was inappropriate but dope, including classics “Baby Got Back” by Sir Mix-A-Lot, “Poison” by Bell Biv Devoe, and “Word Up” by Cameo. The Unauthorized Saved by the Bell Story will re-air this weekend leading up to the world premiere of “The Brittany Murphy Story” on September 6. 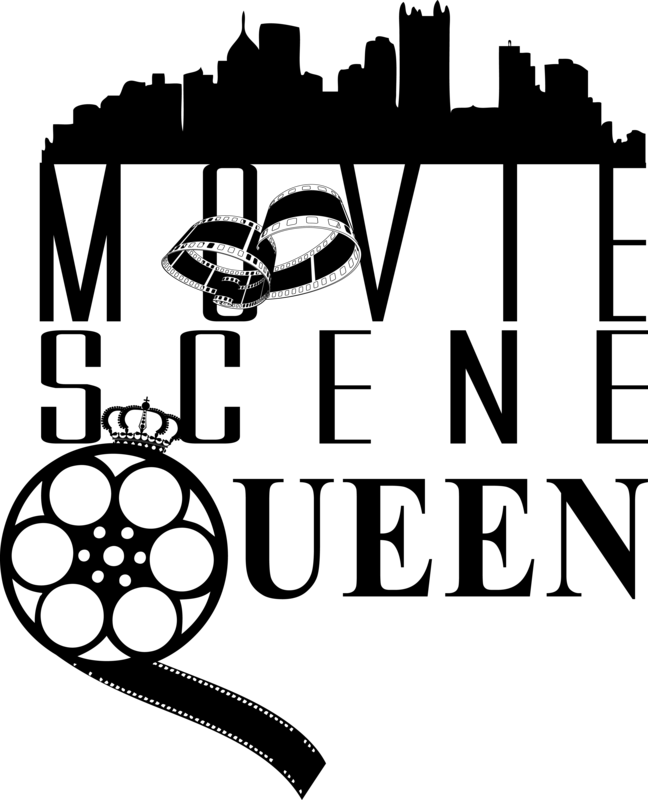 Legendary actress and civil rights activist, Ruby Dee, provided beautiful narration for Lifetime’s movie, Betty and Coretta. The wives of late Civil Rights leaders, Malcolm X and Dr. Martin Luther King, Jr. joined forces after their husbands were assassinated in the 1960s. In alignment with Black History Month, the movie has perfect timing. Dr. Martin Luther King, Jr. and Malcolm X are easily associated with coining and strengthening the Civil Rights Movement. Dr. Betty Shabazz (Mary J. Blige) was left with 6 girls after her husband was assassinated in 1965. Many speculations were made surrounding Malcolm X’s murder, but Dr. Shabazz focused on her small tribe of girls and furthering her education. She received her doctorate degree and began working as a professor at Medgar Evers College. In 1997, after 23 days in the hospital, Dr. Shabazz died from burn complications of a house fire that was set by her grandson, Malcolm Shabazz. Only three years after Malcolm X’s assassination, Coretta Scott King (Angela Bassett) became a widow too when Nobel Peace Prize winner, Dr. Martin Luther King, Jr. was shot on a Memphis hotel balcony. 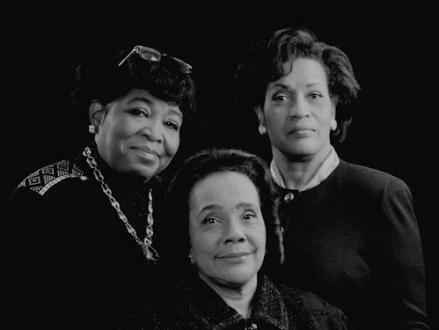 Both Betty and Coretta were determined to carry on their husbands’ legacies through service, hard work, and campaigning. Coretta fought the nasty allegations that surfaced from the FBI’s surveillance and wire tapping of Dr. King and petitioned for the government to make Dr. King’s birthday a national holiday. While, Dr. Shabazz tried to change the minds of people who believed her Malcolm X was a traitor or trouble maker. Coretta Scott King passed on January 30, 2006 after respiratory failure due to complications from ovarian cancer. Both women rest peacefully next to their husbands. 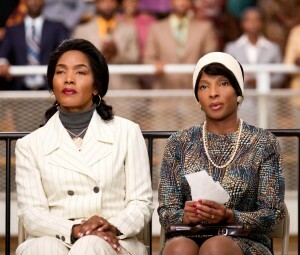 Mary J. Blige and Angela Bassett didn’t quite win me over as Betty and Coretta, but there were hesitantly believable moments. 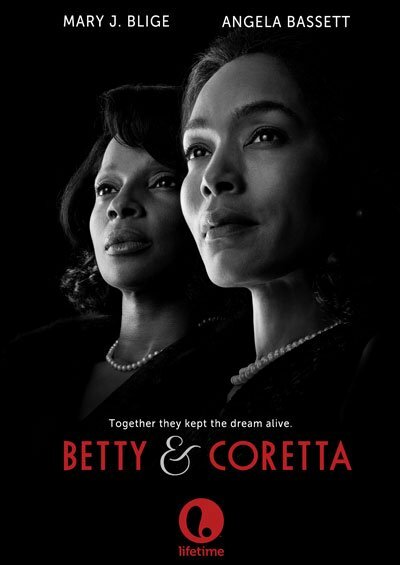 I have never been a fan of Mary J. Blige as a actress or dancer, but Betty and Coretta might be her best work. On the other hand, I am positively an Angela Bassett fan. She’s always plays the more serious roles, and Ms. Bassett is known for playing non-fictional people. Ironnically, she’s played Dr. Betty Shabazz twice, once in Spike Lee’s Malcolm X (1992) and then on a smaller scale in 1995’s Panther. Bassett has also played Rosa Parks, Michael Jackson’s mommy, Catherine, and Notorious BIG’s mother, Voletta Wallace. Malik Yoba had a shocking resemblance to Dr. King. I was pleasantly surprised by his presence. Yoba has kept a relatively low profile since his hit Fox sitcom, New York Undercover. But, he was handsome, brilliant, and captivating. The reality is that the movie, accurate or not, made viewers ponder on the already established legacy of Dr. Martin Luther King, Jr. and Malcolm X. More importantly, it made us focus on two widows who for so long stood behind shadows. Admittedly, I never knew how many times Malcolm X was shot (21 times), that the FBI tried to incriminate Martin Luther King, Jr. with surveillance, and specific details of Dr. Betty Shabazz’s death. Of course, I was aware of the historical events, but the movie prompted me to do more research. 3 Stars: It is difficult to produce a made for TV movie, it’s even more difficult to convey a true story. Similar to VH1 and TLC, the Lifetime Network created a movie that was based off of facts and perceptions. Ultimately, the movie played the best role by being both informative and entertaining. I urge you to learn one new Black History fact, for it’s not just “Black” History…but History!